Former U.S. 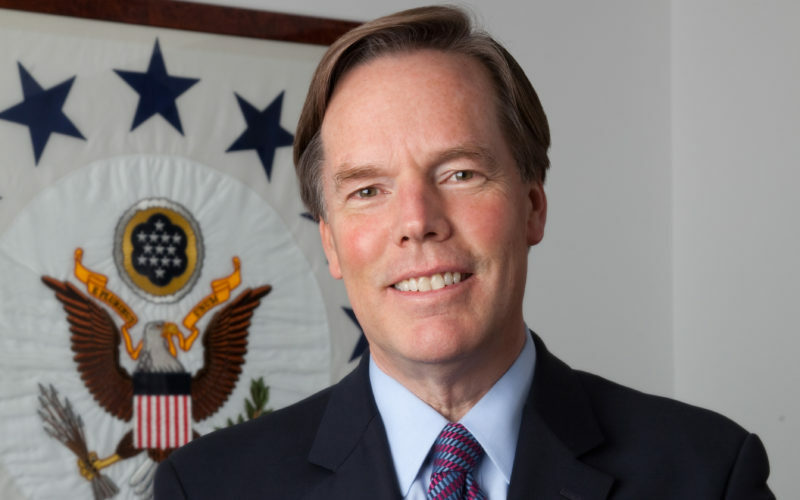 Ambassador to NATO and current professor at Harvard’s Kennedy School of Government Nicholas Burns helps explain what happened in Helsinki (and since), the damage being done to the U.S., and our position in the world. Amb. Nicholas Burns Bonus Q: Why Don’t U.S. Public Officials Resign More Often? Chris Riback: Why don’t American public officials resign more often? Nicholas Burns: What an extraordinary question. We don’t have a tradition of it. In other countries, Britain, is one. There is a tradition when public officials disagree on an issue of great consequence. Perhaps even ethical and moral consequence, that they resign. We don’t appear to have that tradition. Our tradition is you serve. You serve at the pleasure of the President, and the Executive branch. You serve because the public good is enhanced by your service, even if you disagree, you still must serve. That’s more the tradition, but there’re exceptions. A friend of mine, Brady Kiesling, American Foreign Service Officer, resigned in opposition to the Iraq war in 2003. Wrote a book about it, was very vocal about it.I thought he had every right to do that. And it’s a struggle for people inside government when you contest an idea, privately, behind the scenes in government. And when you end up on the losing side, you’re sometimes asked to go out and support it publicly. That’s the nature of public service. So your question leads to this fine line. What am I willing to do in service to my country? And what am I not willing to do? And I think everybody goes into politics, or public service, at any level, state, city-state, federal, international, has to have that question firmly in mind. Are there things that I’m not willing to do for the government? Of course there are, and so you’ve always got to keep that in mind. Next Post:Catherine Rampell: What, Exactly, is Trumponomics?